Through May 29 – “Spamalot” at the Town Theatre. Voted as “Best Musical” and based on Monty Python and the Holy Grail. For more information call (803) 799-2510 or visit http://towntheatre.com/. Through June 7 – “Face Vessels: Archaeological Evidence of Face Vessels Manufactured in Old Edgefield, South Carolina” at the South Carolina State Museum. For more information call (803) 898-4921 or visit http://scmuseum.org/explore/exhibits/changing-exhibits/face-vessels/. Mondays through Saturdays through July 25 – “Traditions, Change and Celebration: Native Artists of the Southeast” at McKissick Museum on the University of South Carolina campus. For more information call (803) 777-7251 or visit http://artsandsciences.sc.edu/mckissickmuseum/traditions-change-and-celebration-native-artists-southeast. Through July 26 – “Courage: The Vision to End Segregation and the Guts to Fight for It” at the South Carolina State Museum. This is the “people story” on the Supreme Court ruling in the case of Brown vs. the Board of Education. For more information call (803) 898-4921 or visit http://scmuseum.org/explore/exhibits/changing-exhibits/. Through August 23 – “Finding Freedoms Home: Archaeology at Mitchelville” at the South Carolina State Museum. Come learn about the rich history of the freedman’s town of Mitchelville. For more information call (803) 898-4921 or visit http://scmuseum.org/explore/exhibits/changing-exhibits/. Through September 7 – “Bugs! Giant Robotic Creatures” at the South Carolina State Museum. Come see bugs magnified 40 to 120 times bigger than they are and with some of them in robotic form. Exhibit includes a life exhibit as well. For more information call (803) 898-4921 or visit http://scmuseum.org. Through September 10 – Moonlight Cemetery and Secrets from the Grave Tours at the Elmwood Cemetery and Gardens on the 2nd Thursdays of each month. Come learn about one of the oldest and largest cemeteries in the area. For more information call (803) 252-1770 ext. 23 or visit http://www.historiccolumbia.org/events/moonlight-cemetery-tours. Saturdays – Soda City Market on Main Street downtown Columbia. 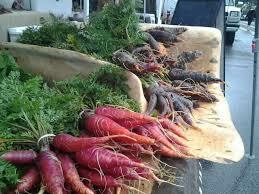 Come experience a farmers market filled with local vendors offering their produce, baked items, artwares, and more. For more information visit http://sodacitysc.com/. Through February 7, 2016 – “Carolina Makers” at the South Carolina State Museum. Come see what people in South Carolina are making, such as instruments, furniture, metal, even clothing. For more information call (803) 898-4921 or visit http://scmuseum.org/explore/exhibits/carolina-makers/. Through March 6, 2016 – “Path’s of Destruction: Sherman’s Final Campaign” at the South Carolina Confederate Relic Room and Military Museum. For more information call (803) 737-8094 or visit http://www.crr.sc.gov/. Saturdays – State House Tours. For more information call (803) 734-2430 or visit http://www.scstatehouse.gov/visit.php. May 21 – Evening of Hope to be held at Private Property Restaurant in Lexington. Event is sponsored by Cancer of Many Colors and is to honor cancer survivors. For more information call (803) 399-8085 or visit http://www.cancerofmanycolors.com/evening-of-hope.html. May 21 – EdVenture After Dark Presents: “Vibes” on the Congaree Terrace of the EdVenture Children’s Museum. Featuring artists are Brent Lundy and George Fetner. For more information call (803) 779-3100 or visit http://www.edventure.org/. May 21 – “Josh Roberts and The Hinges” on the Loading Dock at the Township Auditorium. For more information call (803) 576-2350 or visit http://www.thetownship.org/. May 21 – Rooftop Rhythms presents “The Business” at the Richland Mall. Come enjoy dancing and food and refreshments by local restaurants. For more information call (803) 250-5292 or visit https://www.facebook.com/RooftopRhythms. May 21 – 23 – Motherhood Outloud at Saluda Shoals Park. Come enjoy this comical collection of short theatrical works about motherhood, to include its joys and frustrations. For more information call (803) 731-5208 or visit http://icrc.net/motherhood-out-loud-%E2%80%93-chapin-theater-company-2015-05-21. May 22 & May 24 – Season Auditions at the Carolina Children’s Theatre. These auditions are for the 2015-2016 season. For more information call (803) 691-4548 or visit http://www.columbiachildrenstheatre.com/season-auditions/. May 22 – 23 – The USC Dance Conservatory:” Alice in Wonderland” at Drayton Hall Theatre. Come see some of the areas best dancers age 3 to 18. For more information call (803) 777-5636 or visit http://artsandsciences.sc.edu/dance/. May 23 – Tree Trek at the Congaree National Park. Join a ranger and learn about the history and nature of the Congree. For more information visit http://www.nps.gov/cong/planyourvisit/event-details.htm?eventID=654814-245777. May 23 – Jailbreak 5K at the Lexington County Sherriff’s Department. Proceeds from this event support law enforcement efforts in Lexington. For more information call (803) 799-IRUN or visit http://www.jailbreaklexington.com/jailbreak-5k.html. May 23 – Rhythm on the River presents “Prettier than Matt with the Prairie Willows” at the West Columbia Riverwalk Amphitheatre. For more information visit http://rorsc.com/. May 23 – September 20 – “The Adventures of Mr. Potato Head” at the EdVenture Children’s Museum. Come enjoy an adventure in the world of Mr. Potato Head. For more information call (803) 779-3100 or visit http://www.edventure.org/. May 24 – Lake Murray Triathlon to be held at Dreher Island State Park. Event includes swimming a 750 meter loop, biking a 16 mile loop, and running a 5K. For more information visit http://www.setupevents.com/?fuseaction=event_detail&eventID=2742. May 24 – 25 – The Frank McCauley Film Making Workshop at the 701 Center for Contemporary Art on Whaley Street. Learn the art of filming using your iPhone or iPod Touch. For more information call (803) 779-4971 or visit http://www.701cca.org/event/the-frank-mccauley-film-making-workshop/. May 25 – Lower Richland May Day Celebration to be held at Historic Harriet Barber House in Hopkins. There will be entertainment, games, prizes, and a free food buffet. For more information call (803) 261-5596 or visit https://www.facebook.com/lowerrichlandmemorialdaycelebration?_rdr. May 29 – June 13 – “Bill W. and Dr. Bob” at the Trustus Theatre. Learn about the successful recovery of two professionals who became alcoholics and developed a program of recovery that would change the world of alcoholism. For more information call (803) 254-9732 or visit https://www.trustus.org/. May 30 – “Can You Dig It” Book Release Party at the South Carolina State Museum. 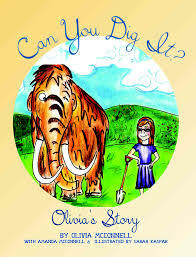 Come meet 8 year old Olivia McConnell who wrote this book about lobbying the legislators to make the Mammoth the South Carolina State Fossil and get her to sign a book for you. For more information call (803) 898-4921 or visit http://scmuseum.org/shop/. May 30 – South Carolina Tour de Cure at the Robert Mills House. This cycling event includes a choice of five distances with proceeds going to benefit the American Diabetes Assocation. For more information call (803) 799-4246 ext. 3291 or visit http://main.diabetes.org/site/TR/TourdeCure/TourAdmin?fr_id=10204&pg=entry. May 30 – Five Star Academy May Day Festival at the Five Start Learning Center in West Columbia. Event will include entertainment, vendors, games, and inflatables. For more information call (803) 939-0950 or visit http://www.fivestaralc.com/. May 30 – Rhythm on the River presents “Bob Michalski and Friends” at the West Columbia Riverfront Ampitheatre. For more information visit http://rorsc.com/. May 31 – Freeway Music Festival at the Music Farm. This is a family event. For more information visit http://www.musicfarm.com/venues/music-farm-columbia/upcoming-shows/. June 1 – Broadway Bound at the Harbison Theatre on the campus of Midlands Technical College in Irmo. For more information call (803) 457-1126 or visit http://www.harbisontheatre.org/tickets-productions/broadway-bound. June 2 – 24 – Summer Quilting Sampler at the Edisto Discovery Park. This is an introduction to quilting from an award winning quilter. For more information call (803) 545-3093 or visit http://columbiasc.net/parks-recreation. June 4 – “Larry’s Favorite Things”: A Fundraiser for Trustus Theare at the Music Farm. Come experience some of Columbia’s best theatre and musical entertainment. For more information visit http://www.musicfarm.com/venues/music-farm-columbia/upcoming-shows/. 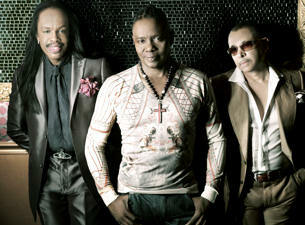 June 5 – “Earth, Wind, and Fire” at the Township Auditorium. For more information call (803) 576-2350 or visit http://www.thetownship.org/. June 5 – 6 – Peach Tree 23 Yard Sale spanning 44 miles along SC 23 from Batesburg-Leesville to Modoc. For more information call (803) 275-0010 or visit http://www.peachtree23.com/. June 6 – StoryFest at the South Carolina State Museum. For more information call (803) 734-8666. June 6 – Celestial Stars 15th Annual Revue at the Harbison Theatre on the Midlands Technical College Campus in Irmo. Come see what the Celestial Stars Academy students season premier. For more information call (803) 939-1129 or visit http://www.harbisontheatre.org/tickets-productions/celestial-stars-15th-annual-revue. June 6 – Nature Discovery Walk at the Congaree National Park. Join a volunteer naturalist and learn about the plant and animal life of the Congaree River floodplain. For more information visit http://www.nps.gov/cong/planyourvisit/event-details.htm?eventID=654814-245777. June 6 – Rhythm on the River presents “The Mustache Brothers with Mississippi Kites” at the West Columbia Riverwalk Ampitheatre. For more information visit http://rorsc.com/. June 8 – August 14 – KingerCamp and Wild Weeks at the Riverbanks Zoo and Gardens. For more information call (803) 779-8717 or visit https://www.riverbanks.org/.